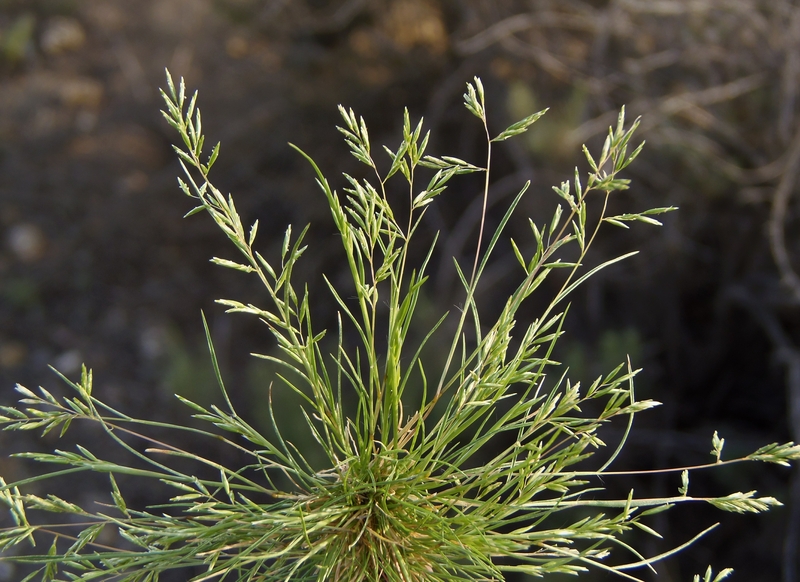 Schismus barbatus (common Mediterranean grass) is an annual grass (family Poaceae) found mostly in disturbed areas and deserts. It is difficult to distinguish from its close relative Schismus arabicus. Both species contribute to the conversion of desert shrubland into annual grassland by carrying fire across open areas, where they ignite and kill native shrubs.